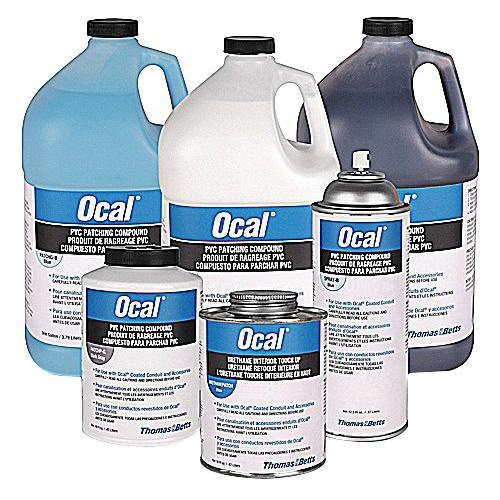 Thomas & Betts Ocal® Spray patching compound in dark gray color, comes in 12.5 oz metal aerosol can. This compound is suitable for use with conduit and fittings as well as for PVC. This solvent odor compound has 4-methylpentan-2-one, toluene, vinyl chloride, carbon black, titanium dioxide and titanium dioxide composition.